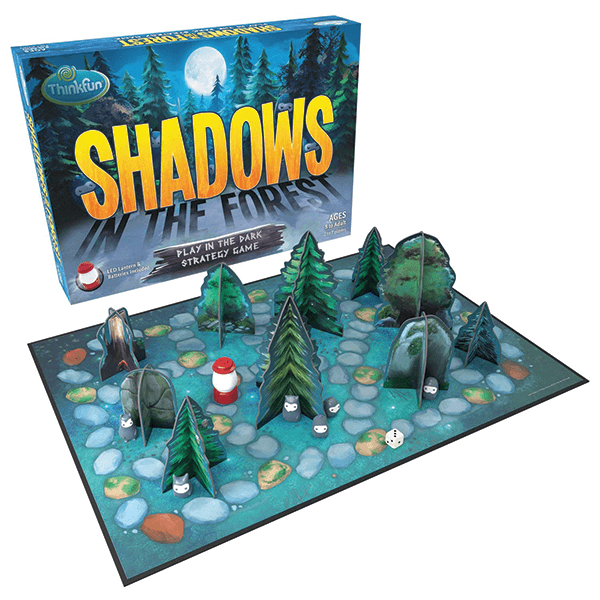 Shipping Dimensions: 13" x 2" x 10"
Shadows in the Forest is a thrilling, immersive play experience that brings a distinctive twist to game night - you play it in the dark! One player moves the LED lantern around in search of Shadowlings, mysterious creatures who avoid the light. The lantern illuminates the forest and trees, casting real shadows on the game board. The rest of the players work together, strategically moving their Shadowlings to stay out of the light in this innovative board game for kids and families. You are deep in a dark, ancient forest with only your lantern to guide you. Tall, looming trees cast shadows all around. Off in the distance you hear a faint rustling sound and your heart begins to race. Could the legend be true? Will you finally discover the creatures who hide in the forest shadows? This game is really unique and lots of fun! my daughters enjoy playing in the evenings when it gets dark, it really adds to the theme. I bought this for my kids to play when we go camping and they don't want to turn on the lights or sit by the campfire. They love it so much that they are always wanting to play! 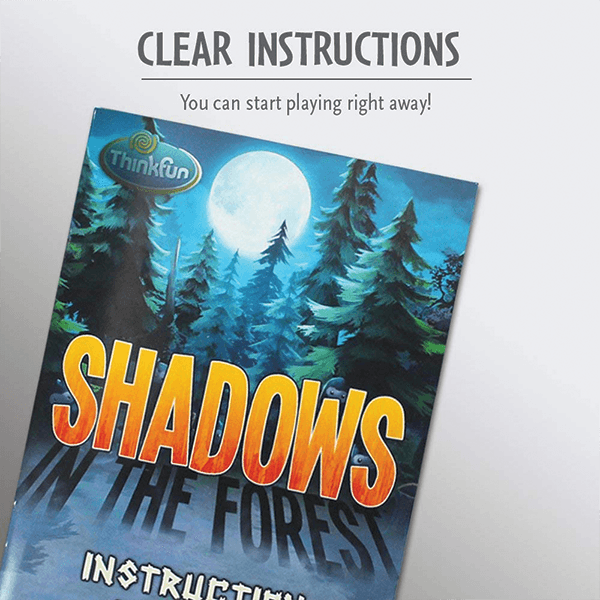 If You Liked ThinkFun Shadows in The Forest Game, See More Related Products Below!